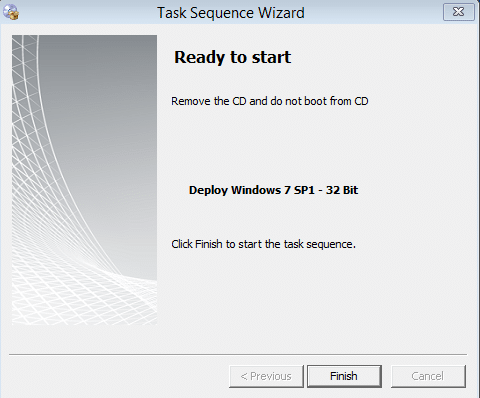 Deployment took an extra restart after selecting which task sequence to use. This happend because multiple task sequences where published to the computer and the boot image for the selected task sequence where not used initially when booting. I fixed this by making the task sequences use the same boot image. I know this might not be the ideal solution for everyone but the problem with this extra reboot is different version of bootimages beeing used. This is how you upgrade from evaluation version to full version of configmgr 2012. You enter the product key during the install phase of configuration manager 2012. Run configuration manager setup from the start menu. This ensures that setup is run wil the latest updates. Select perform site maintenance or reset this site. Select Convert from Evaluation to Full Product Version and enter the key. MDT 2012 Deployment Workbench on Windows Server 2012 will fail with the following error: “powershell is required to use the deployment workbench” The reason for this error is the execution policy in powershell. Microsoft have released a nice tool which help you create WMI queries. WMI Code Creator 1.0 is a powerful tool to create WMI queries without little or no programming skills. I use this frequently to retrieve the model name from computers that I need to target specific driver packages. How to get the network access password from WinPE in SCCM. Add SCCM 2012 OS roles and features with powershell. This must be the easiest way to install all the OS roles and features when prepearing a new server for SCCM 2012. I tested this on a fresh install of Windows Server 2008 R2 and it works like a charm. Today I’m happy to say that I got the certification: Administering and Deploying System Center 2012 Configuration Manager. Windows 8 comes with many integrated hotkeys. Here is a list of the hotkeys currently available in Windows 8 using the Windows key. When I first heard about this neat trick I thought it was a joke. But it’s not. It works and it’s awesome. GodMode is a special control panel that includes all windows settings from one windows. No more jumping between several windows to do stuff. 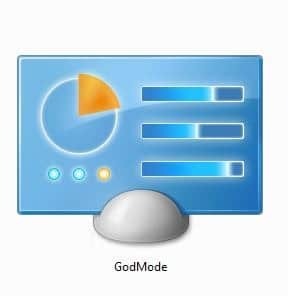 How to enable God Mode in Windows 8, Windows 7 and Windows Vista. These log files are useful to troubleshoot the errors with the configuration manager client. ccm.log – Client push installation log file. chmgr.log – Client health manager log file. cidm.log – Changes to the client settings by the Client Install Data Manager (CIDM). ccmsetup.log – Installation, client health, client upgrade and client removal. Very useful to troubleshoot client installation errors. ccmrepair.log – Repeair activites by the client. client.msi.log – Logs from the installation process of client.msi application. Also check out this TechNet article for more information about log files sin System Center Configuration Manager 2012. SCCM: How to limit distribution point packages to one drive. When you install a distribution point, you specify which drive it should use. When this drive is full, the distribution point will automatically start using another drive. For drives where you don’t want any packages from the distribution point, create an empty file with the name “NO_SMS_ON_DRIVE.SMS” and place it in the root of the drives. This trick works on both SCCM 2007 and SCCM 2012. Here are some useful WMI queries for SCCM 2012 that you can use to create collections. Copy and paste these into the query statement of the query rule.